FOR A TIMELESS EXPERIENCE ON THE OREGON COAST! 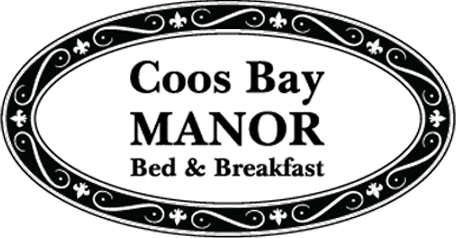 Coos Bay Manor Bed and Breakfast is the most majestic bed and breakfast in Coos Bay, Oregon! The stately presence of high ceilings and large rooms make this home warm and inviting. All our rooms feature late 19th Century charm and elegance. Inside the house, guests will find themselves transformed to another era overflowing with timeless romantic notions and not-soon-to-be-forgotten memories. Enjoy your stay, and may the memories you make be heartfelt souvenirs of your time spent together at the Coos Bay Manor Bed & Breakfast on Oregon's beautiful south coast.